We believe in the goodness of whole grain cereal. 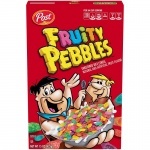 Cereal is packed with nutrients and contains complete grains, which can help fuel your morning. 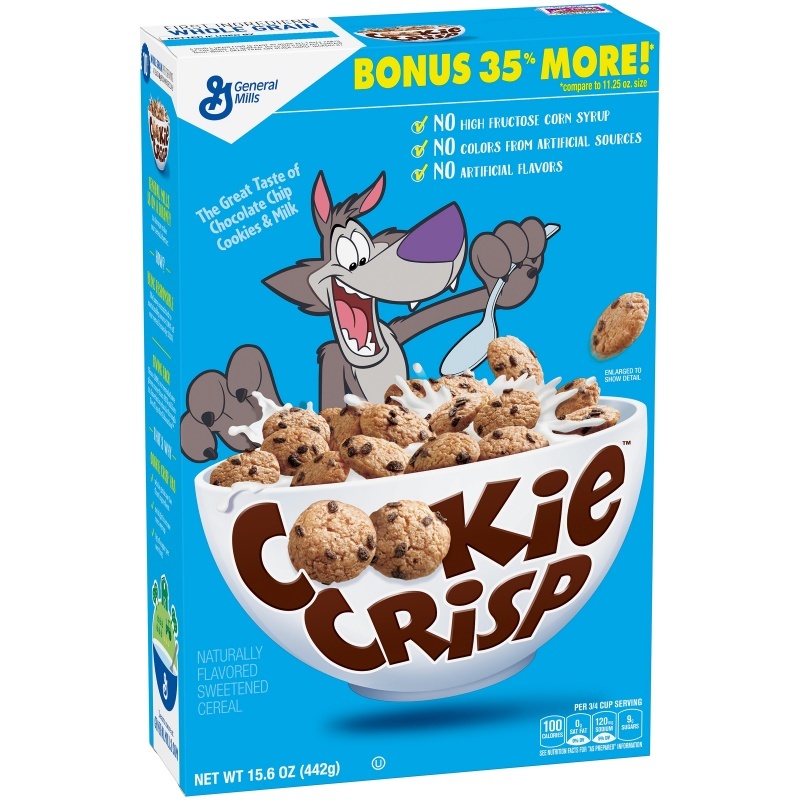 That's why whole grain is the first ingredient in all Big G cereals and why Cookie Crisp has not high fructose corn syrup has 9 grams of sugar per serving is a good source of calcium and vitamin D.Goodness first. 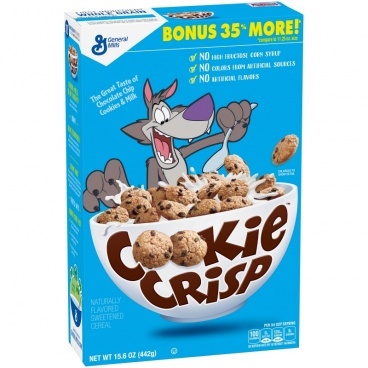 This cereal contains 10g whole grain per serving; at least 48 grams recommended daily. A whole grain food is made by using all three parts of the grain. 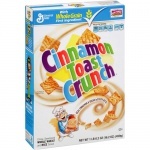 All General Mills Big G cereals contain more whole grain than any other single ingredient. www.wholegrainnation.com. Grow Up Strong with Big G Kid Cereals. www.growupstrong.com. Give your kids more of what they need to be their best. Start the day with Big G kid cereals. 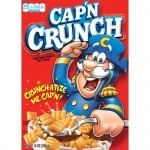 Kids love the taste and it's the only leading line of kids cereals to have at least eight grams of whole grain and good source of calcium in every serving. Warning Text: May contain wheat ingredients. Ingredients: Whole Grain Corn, Sugar, Corn Meal, Canola Oil, Yellow Corn Flour, Cocoa Processed with Alkali, Corn Syrup, Salt, Brown Sugar Syrup, Caramel Color, Baking Soda, Natural Flavor.Vitamins and Minerals: Calcium Carbonate, Tricalcium Phosphate, Zinc and Iron (Mineral Nutrients), Vitamin C (Sodium Ascorbate), a B Vitamin (Niacinamide), Vitamin B6 (Pyridoxine Hydrochloride), Vitamin B2 (Riboflavin), Vitamin B1 (Thiamin Mononitrate), Vitamin A (Palmitate), a B Vitamin (Folic Acid), Vitamin B12, Vitamin D3.